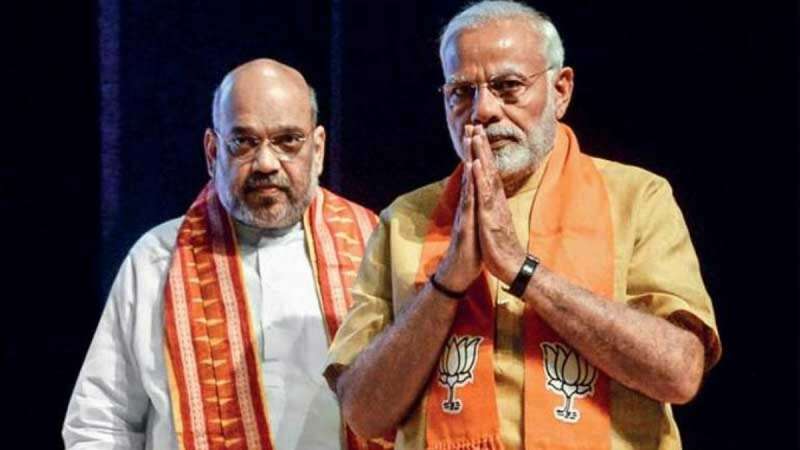 New Delhi : Bharatiya Janata Party (BJP) on Thursday launched its first list of candidates for the upcoming Lok Sabha Polls. Prime Minister Narendra Modi will be contesting from Varanasi in Uttar Pradesh. BJP president Amit Shah will be replacing LK Advani on Gandhinagar seat in Gujarat. Mr Advani's name has not been announced in the first list of candidates. In the first list, BJP has announced the names of 184 candidates. BJP's Kerala strongman Kummanam Rajasekharan, who recently quit as Mizoram Governor, will fight against Congress's Shashi Tharoor in Thiruvanthapuram, while Union Minister KJ Alphons will contest from Ernakulam. The BJP also fielded its Tamil Nadu unit chief Tamilisai Soundararajan from Thoothukudi from where DMK's K Kanimozhi is contesting. Mr Nadda, who had announced that Minister of State from Home Kiren Rijiju will contest from Arunanchal East, later corrected himself, saying he would be contesting from Arunachal West. In Rajasthan, former chief minister Vasundhara Raje will not contest the polls, rather her son Dushyant will fight for the fourth time.